Picture a Stone Age human and you might imagine a grunting thick-browed brute with a leopard-print robe. However, if you look deeply at some of the world’s oldest cave paintings, you can see that this old stereotype is way off. Perhaps as far back as 40,000 years ago, it seems that humans were keeping tabs on the intricate movements of stars and using them to gain sophisticated insights into the passing of time. As reported in the Athens Journal of History, prehistoric humans even appear to have a good understanding of how stars in the night's sky change position. The study argues that this could hint that they even had some grasp of the "precession of the equinoxes," an observable effect caused by the gradual shift of Earth's rotational axis that occurs in cycles of around 25,920 years. "Early cave art shows that people had advanced knowledge of the night sky within the last ice age. Intellectually, they were hardly any different to us today,” Dr Martin Sweatman, of the University of Edinburgh's School of Engineering, who led the study, said in a statement. Researchers at the University of Edinburgh reached these findings by decoding a number of different Paleolithic and Neolithic artworks, including the best known ancient artwork of all, the Lascaux Shaft Scene in France. They argue that many cave paintings show much more than just stick figures hunting down beasts. For example, one section of the Lascaux cave paintings appears to show a dying man. The scene also contains a few animals, such as a bison (a symbol of Capricornus and the summer solstice between 15,350 and 13,000 BCE) as well as a duck or goose (the symbol of Libra and the spring equinox between 15,700 and 14,100 BCE). All together, they argue, this commemorates a known comet strike around 15,200 BCE. 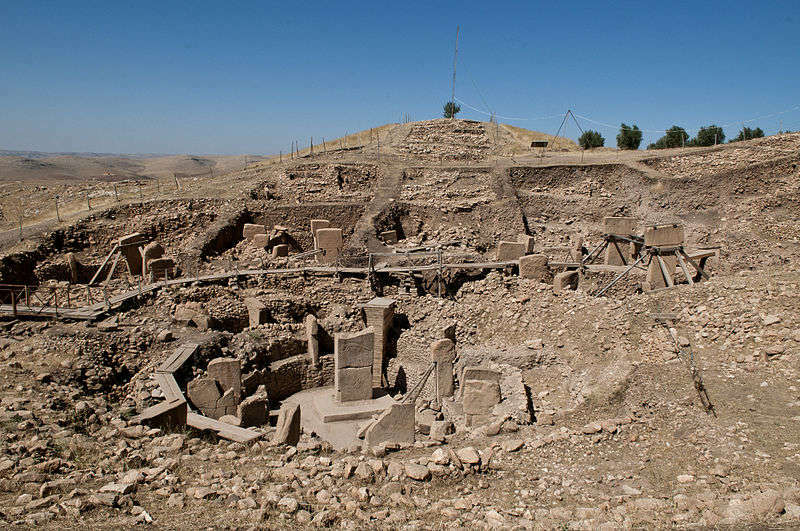 Similarly, the Vulture Stone at Gobekli Tepe – an unbelievably advanced site in Turkey from the 10th-8th millennium BCE – appears to perfectly line up with a comet that is believed to have struck some 12,900 years ago, sparking a global mini ice age. They even argue that the Lion Man of Hohlenstein-Stadel, an ivory sculpture from southern Germany that dates back 40,000 years, is “consistent with this interpretation,” suggesting that it might have held some astronomical importance. "These findings support a theory of multiple comet impacts over the course of human development, and will probably revolutionize how prehistoric populations are seen," added Dr Sweatman.